Hey friends, how’s your week going? Life with a newborn has definitely been an adjustment, but I feel like we’re finally getting back in the swing of things over here! Isn’t is crazy how you find a new “normal” so quickly? This little guy is only 2 weeks old, but somehow it feels like he’s always been here. Confession – I kinda hate most baby gear on the market. There are so many options, and there’s no real way of knowing what items your baby will love and hate. When it comes to baby items, I prefer to have the bare minimum. I only want the items that work, especially seeing as we live in a small house and don’t have a ton of space for extra storage. 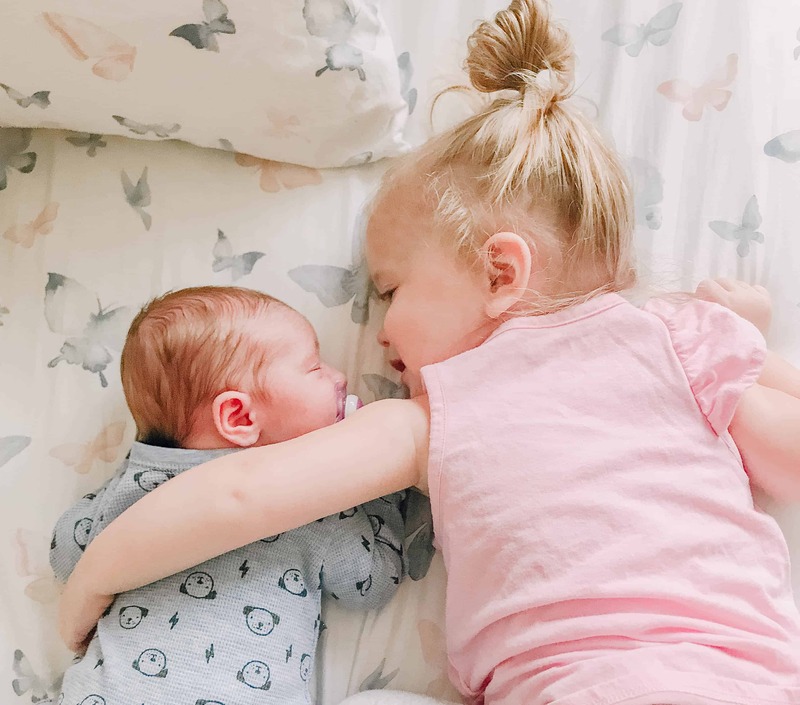 Whether you’re pregnant and planning your registry or just want to purchase a few new items, my list of “8 Newborn Must Haves” will get you started. We chose to have both of our babies sleep in our room for the first few months. From a logistics standpoint, it’s so much easier for nursing sessions and diaper changes. Plus, it makes me feel more comfortable to have my little guy close to the bed so I can keep an eye on him. We used the Rock ‘n Play with Finley for the first few months. It has a slight incline and rocks back and forth, which most newborns love. Beckham has been sleeping in the Rock ‘n Play at night, but I have a feeling that we’ll transition him into a bassinet sooner rather than later! Once Finley transitioned out of the Rock ‘n Play, she slept in a mini crib in our bedroom. It worked well, but it was a bit large so we decided to keep it at the lake house. I spent so much time deciding on a bassinet for Beckham. This Chicco bassinet was perfect! It’s not too expensive, lightweight/easy to transport, and can be used until 12 months (or 20 lbs). We’ve been keeping the bassinet in the family room for naps, and the gray color blends in perfectly with our decor (#winning!). I love that we’ll be able to use this bassinet for nighttime sleep in our bedroom until we’re comfortable transitioning him to his own room. 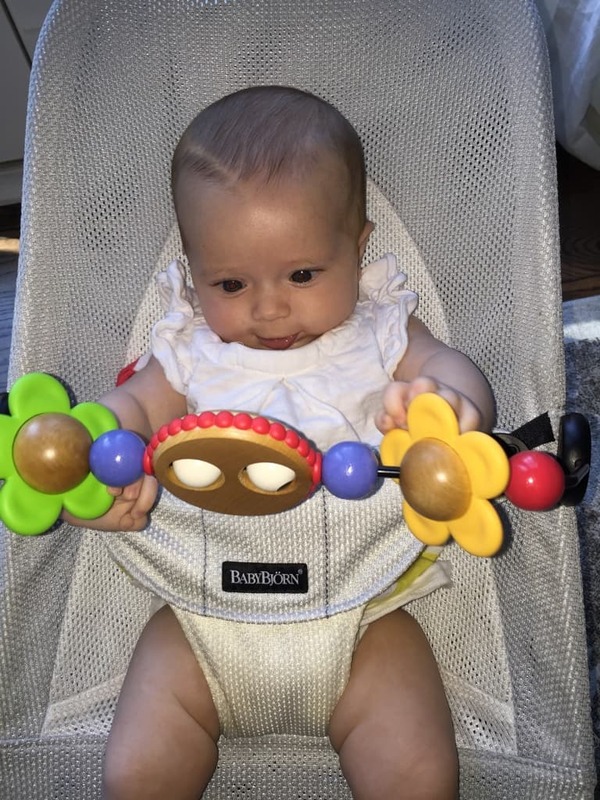 Full transparency – Finley hated the DockATot. She’s always been a belly sleeper, so it wasn’t a good fit for her. It’s definitely on the pricier side, so I held out hope that baby #2 would love it. We’ve been using the DocATot for some naps and Beckham loves it. You can also use it for tummy time – double win! Finley throwback – she was so little! Does anyone else think that most bouncers are really awful looking? My sister recommended that we register for this Baby Bjorn bouncer when I was pregnant with Finley, and it was the best decision! 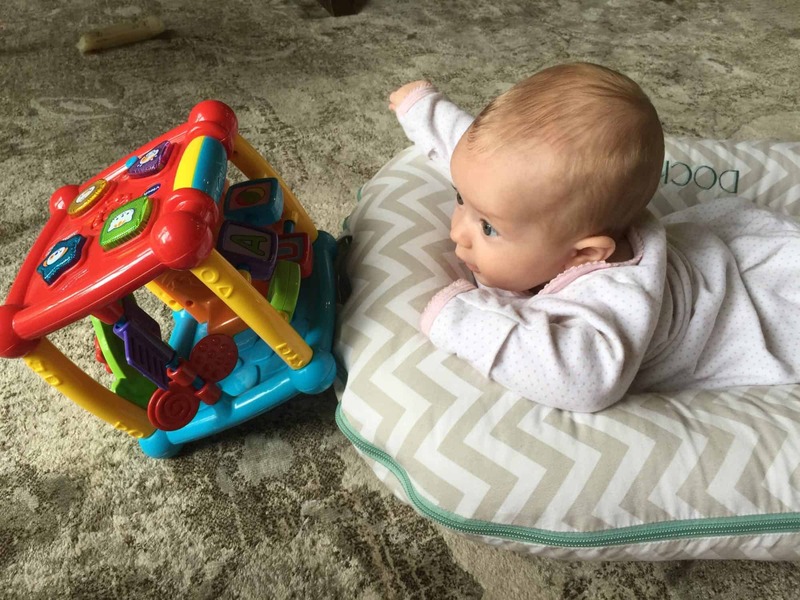 Not only is it super compact and lightweight, but babies absolutely LOVE it! At times, this bouncer was literally the only thing that would calm Finley down during her “witching hour.” We’ve only used it a few times so far, but it looks like Beckham loves it too. You can also get this super cute wooden toy to attach once your baby gets a bit older. Biggest downside? The incline results in major poop blowouts. You can purchase replacement covers, but we didn’t. The original cover washes well and we haven’t had any issues with staining (we have the mesh material.) Seriously, if you purchase one item off the “8 Newborn Must Haves” list, this needs to be it! This Woombie swaddle is seriously a lifesaver. Both Finley and Beckham love it! When we brought Beckham home from the hospital, he wanted to party all night long. 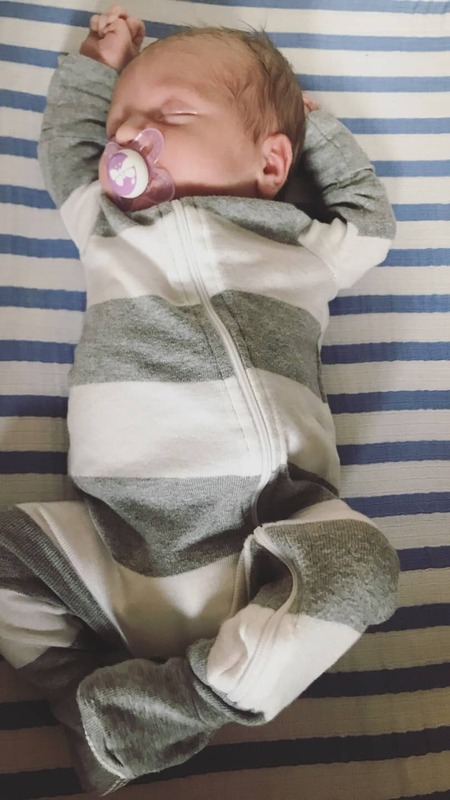 We started using this swaddle and it was a game changer! 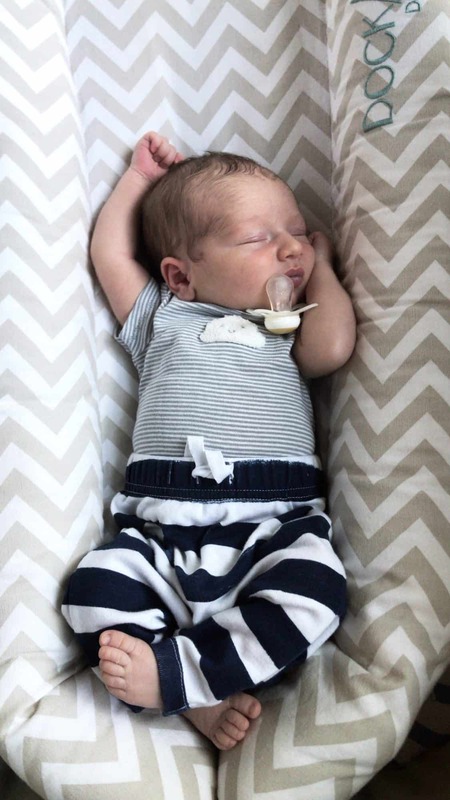 But let’s be honest, sleep is so tough for babies (and parents haha) so I’m just going to enjoy the good stretches of sleep while they last! Ben and I never bothered to purchase a changing table – it seemed like a waste of money and space. It’s also so much easier to change a diaper on the ground with a changing pad! Seeing as babies like to poop through everything, we like to have a bunch of changing covers on hand. Best part about these Aden & Anais changing pad covers is that you can also use them as sheets for the Chicco bassinet! If you follow us on Instagram and check out our Stories, you’ve probably seen that I’m a huge fan of babywearing. 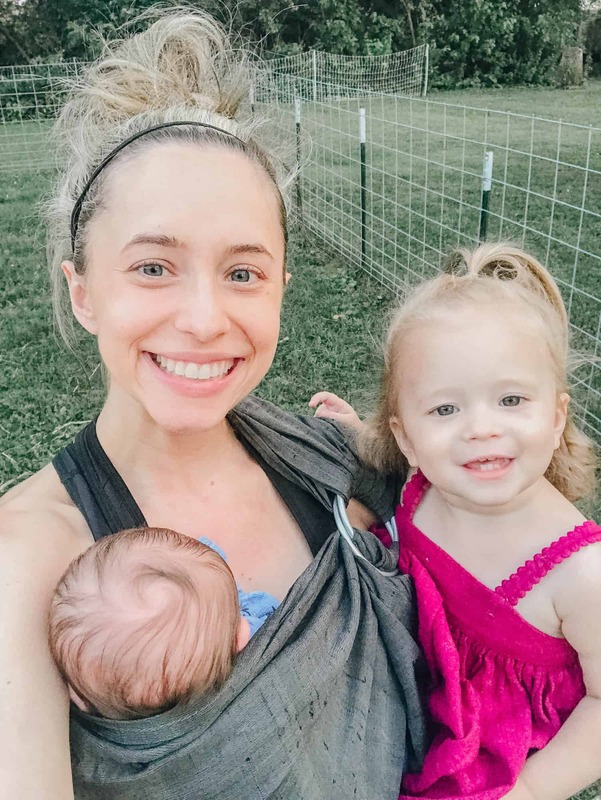 There’s definitely a learning curve at first, but babywearing makes your life so much easier once you figure it out! If you’re looking for a stretchy wrap, then I love the Solly. It’s perfect for the newborn stage because you can have your little one super close. You can also adjust the strap for extra head support, which makes it even easier to be hands free. If you’re looking for a Ring Sling, then I love Vienna Springs and Sakura Bloom. Rings slings are definitely my preference these days – I even wore Finley in a sling throughout most of my pregnancy with Beckham! What items would you add to the “8 Newborn Must Haves” list? Hope you have a great Thursday! As a side note, I apologize for the lack of farm-related posts lately! My mind is completely consumed with newborns + toddlers, so I’m just going with it 😉 I’ll be posting more farm updates soon. Hope the “8 Newborn Must Haves” list is helpful to some fellow mamas! Previous Article Previous post: And then there were 4…the birth story! Next Article Next post: Farm fresh eggs, anyone? Hi Colleen, I’m friends with your sister and I think you know my sister Taylor Rogers from SFHS! 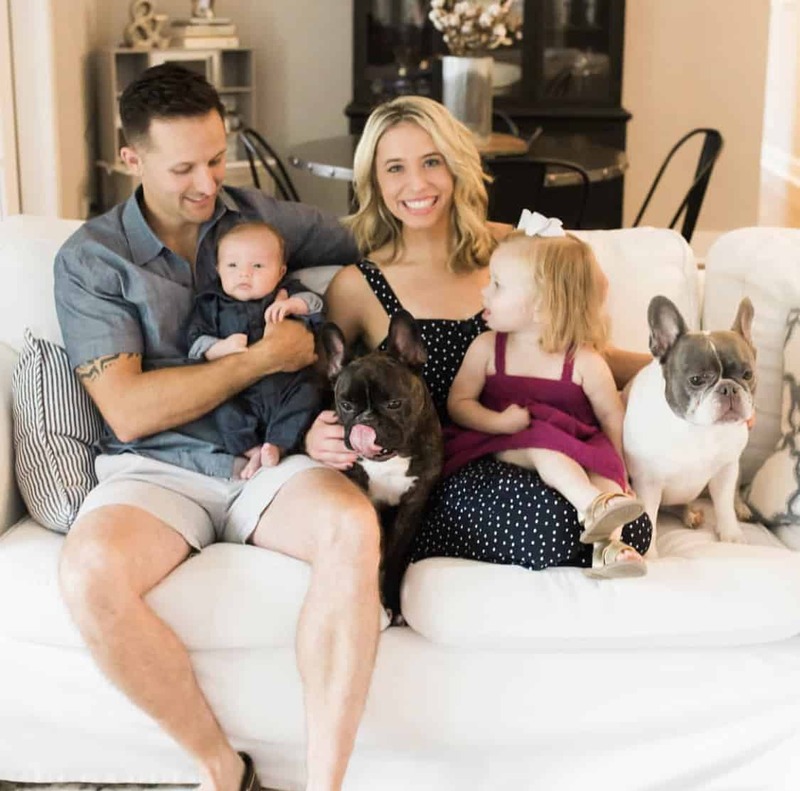 I’m almost done nursing my baby boy #4….he turns one on August 23rd….and of course I just learned about this product last week! It’s called the Haakaa Silicone Breastpump and it catches the letdown/milk leakage during breastfeeding! It’s genius and makes me sad to think of how much milk I lost this past year.